A very practical and neat folding cane, the Handbag Folding Cane folds into five sections instead of the usual four, making it particularly compact when folded, and so will fit easily into a handbag or coat pocket. The hardwood handle is a petite size, suitable for those with smaller hands. Fitted with a rubber ferrule and a smart metal collar, and supplied with a beige carrying wallet. 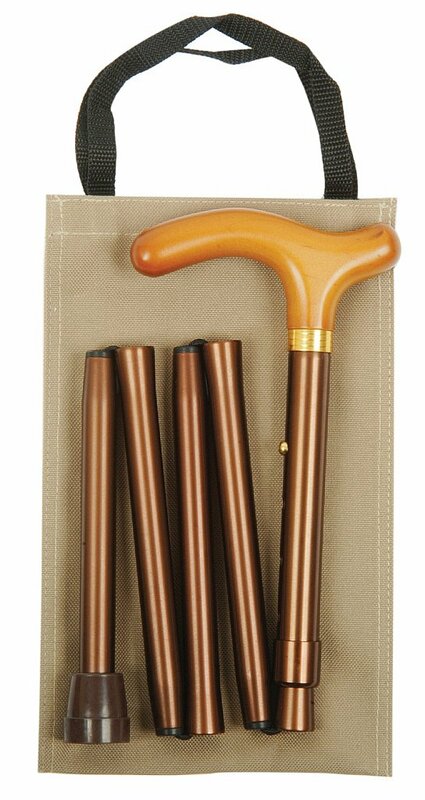 I would like more information about Folding Cane - Handbag Folding Cane - Coffee Brown by Classic Canes.